One of Newark’s finest Tudor buildings is yielding more of its fascinating secrets. Restoration work is gathering pace at the Grade II* Old Magnus Building, on Appletongate, which will house the UK’s first ever National Civil War Centre when it opens next year. The ambitious £5.4m project by Newark and Sherwood District Council is being backed by £3.5m from the Heritage Lottery Fund. 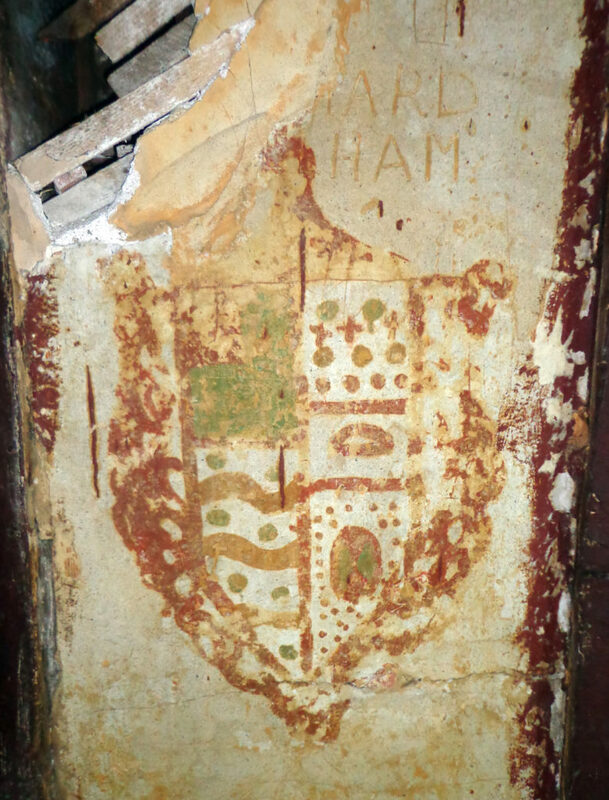 Now builders from Edwinstowe-based Woodhead Heritage Ltd, main contractors for the scheme, have discovered two coats of arms hidden beneath old wallpaper. The finds were made in a top floor room once used as a schoolboy dormitory from the time of Henry VIII. Reverend Thomas Magnus, a wealthy benefactor, provided money for the Old Magnus Building’s construction. His act of generosity was partly motivated by a wish to gain favour with Henry VIII’s regime during a tense period for the church. Extended during Georgian and Victorian times it was used as a school until the early 20th century.